In a large high-sided skillet, heat butter over medium-high heat. Add diced onion, and saute until translucent and beginning to brown, about 6 minutes. 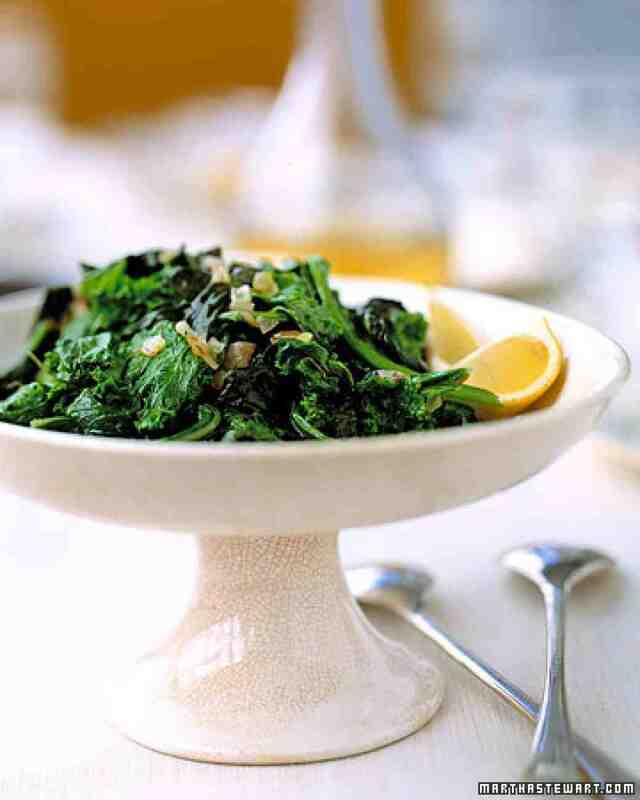 Add the prepared mustard greens, and sprinkle with salt and pepper. Toss until greens are just wilted, adding more greens as they will fit into the pan. Toss with lemon juice just before serving.